Game of Thrones Photos from "Hardhome"
That's right ladies and gents, the moment we've all been waiting for has arrived! 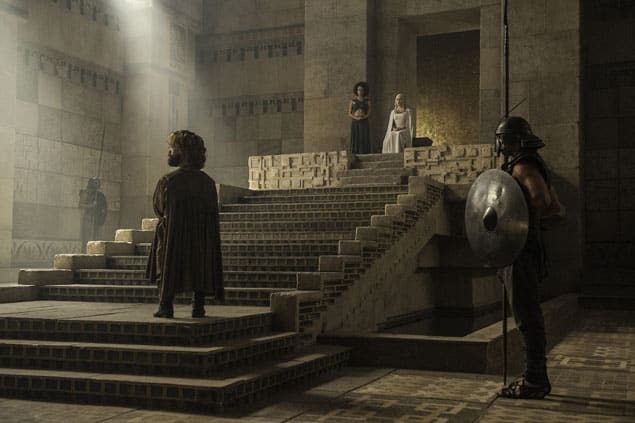 Daenerys and Tyrion came face to face last week, but on Game of Thrones Season 5 Episode 8 we'll witness their first real conversation. From what I understand, it's a moment well worth the wait. Will Tyrion convince Dany to spare Ser Jorah's life? At King's Landing, Cersei struggles with her imprisonment and is too proud to cooperate. 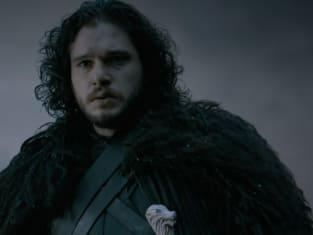 Elsewhere, Jon arrives at the ruined free folk settlement known as Hardhome. 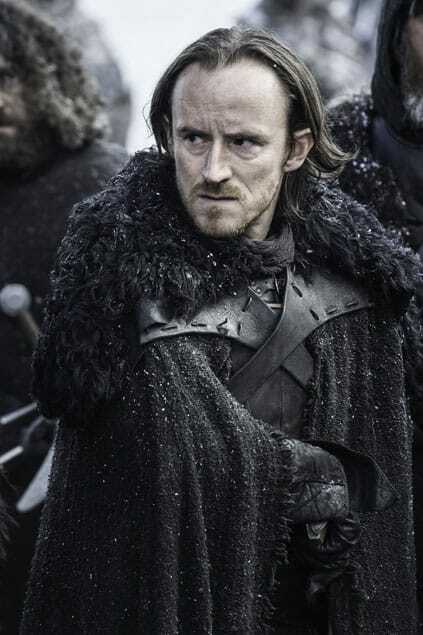 His plan is straightforward, but the wildling hatred of the crows runs deep. Check out a few photos from the installment below and watch the teaser here. In a word? GULP! 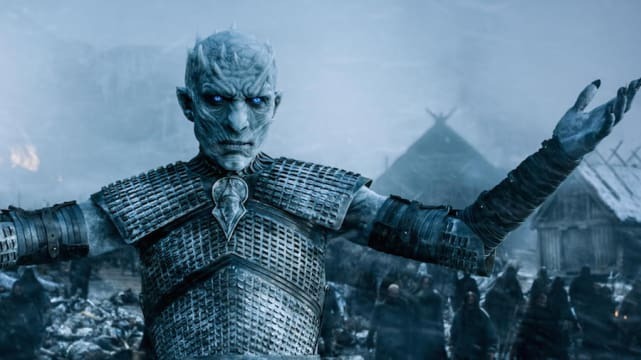 Make way for The Night's King of Game of Thrones. He means business. Daenerys Targaryen and her gift, Tyrion Lannister, discuss the future. This conversation will no doubt change the fate of the Seven Kingdoms. 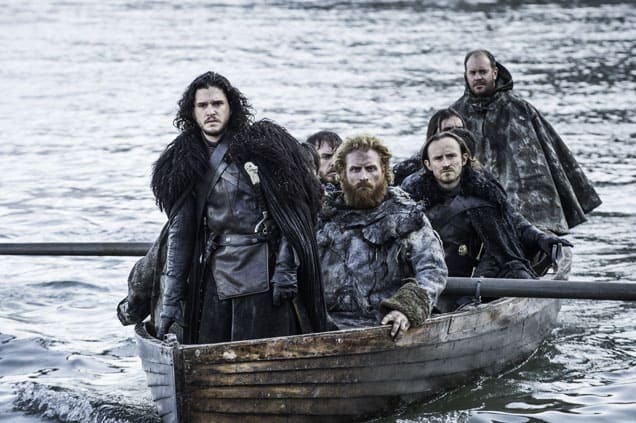 Jon Snow, Tormund and Dolorous Edd among others make their way to the free folk. Will they ultimately fight alongside Jon? 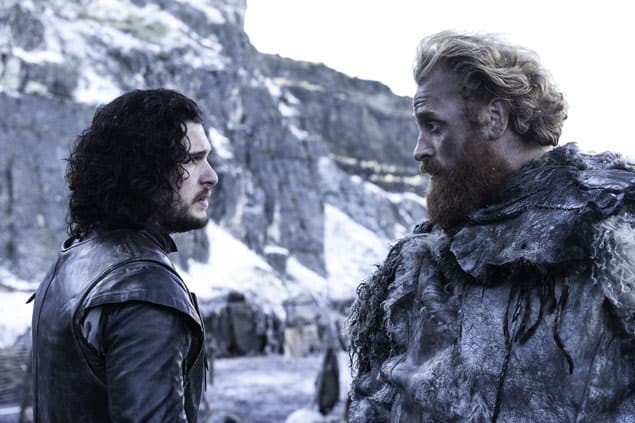 Jon and Tormund have an arrangement, but will things go smoothly at the wildling camp? 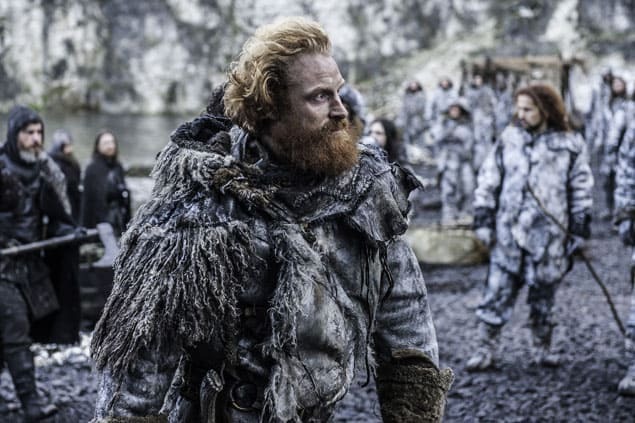 Tormund Giantsbane brings Jon Snow to the wildling camp. Chances are they will not easily follow a crow into battle. Dolorous Edd prepares to draw his sword. Has Jon's plan already upset the free folk? Are the crows in danger?